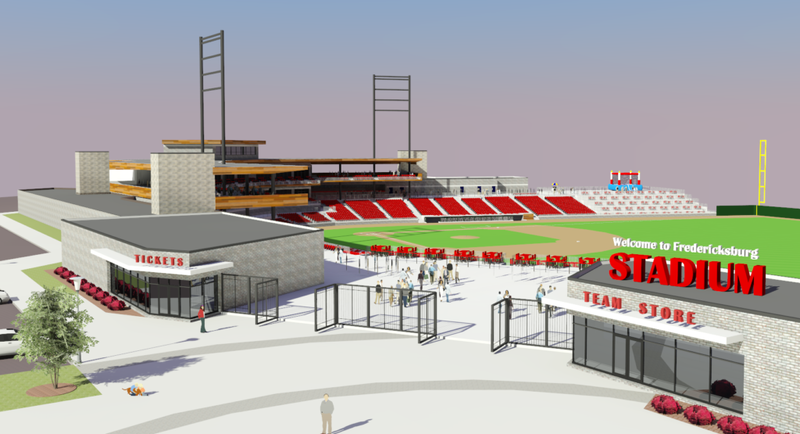 Fredericksburg, VA is proceeding with discussions over a new ballpark for the Potomac Nationals (High A; Carolina League), as the city council approved a letter of intent with the team. Last month, the P-Nats and club owner Art Silber revealed that they will pursue a new ballpark in Fredericksburg. The proposal calls for the $35-million, 5,000-seat ballpark to be constructed in Celebrate Virginia South, on land owned by The Silver Cos., which would contribute $100,000 annually to the project. The ballpark would be privately financed, with the city making an annual payment of $1.05 million to the team for 30 years as an anchor tenant. The city’s contribution would be covered by taxes from the ballpark, and revenue generated from use of the facility on non-gamedays. City Council’s thumbs up triggers a 120-day study period during which the club will plan the stadium, receive approvals from Minor League Baseball and the Carolina League, secure financing and obtain legislative approvals from City Council for such things as land use. A special-purpose City Council public meeting to hear input on the proposal will also be held. If a definitive, 30-year agreement is reached, the club would then go through the permitting process, construct the stadium and open it for play—ideally in time for Opening Day in April 2020. The team’s name is yet to be determined, but “Fredericksburg” will be part of it. The P-Nats have been looking for years to replace their current home, Northwest Federal Field at Pfitzner Stadium in Woodbridge. Discussions with Prince William County officials about a new ballpark in Woodbridge took place last summer, only to stall when the two sides could not come to terms on an agreement.